Lieut.-Com A. H. F. Norman (rei) 1 Jan 44. Training of Air Fitters candidates in basic workshop practices. The R.N. Aircraft Training Establishment, Watford, came into being on Tuesday, June 9th 1942, tinder the administration of the Rear Admiral, Naval Air Stations with its accounts carried on the “books of H.M.S. 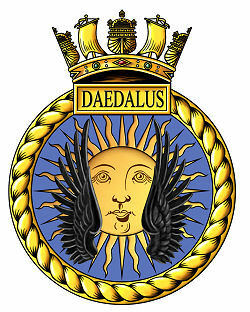 DAEDALUS”. 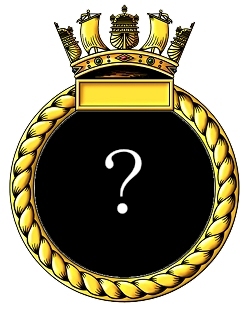 The establishment comprised of two separate sites that were known as "Watford I" & "Watford II" [not ship's names, just a means of identifying each site]. Its task was the training of Air Fitter candidates in basic workshop practices. The Government Training Centre, Southwold Road [under the control of the Ministry of Labour] was be responsible for the training of Naval trainees. Instruction was undertaken by the Ministry of Labour instructors under the supervision of Naval administrative staff. On New Year's Day 1944 R.N.A.T.E. Watford, and a second site, R.N. Training Centre, Fulham, which was also operating tinder the administration of the Rear Admiral, Naval Air Stations were commissioned as an independent command bearing the ship's name HMS TURNSTONE. Accounts continued to be carried by H.M.S. DAEDALUS. R.N. Training Centre, Fulham was closed on June 23rd 1944, R.N.A.T.E. Watford closed on August 18th 1945and HMS TURNSTONE was paid off on this date.